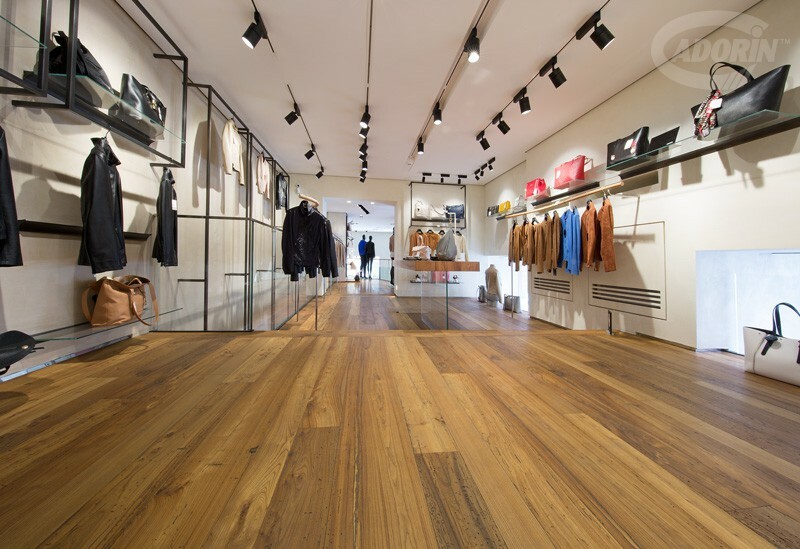 Particularly in the Antique Elm wooden parquet, the raw material - i.e. 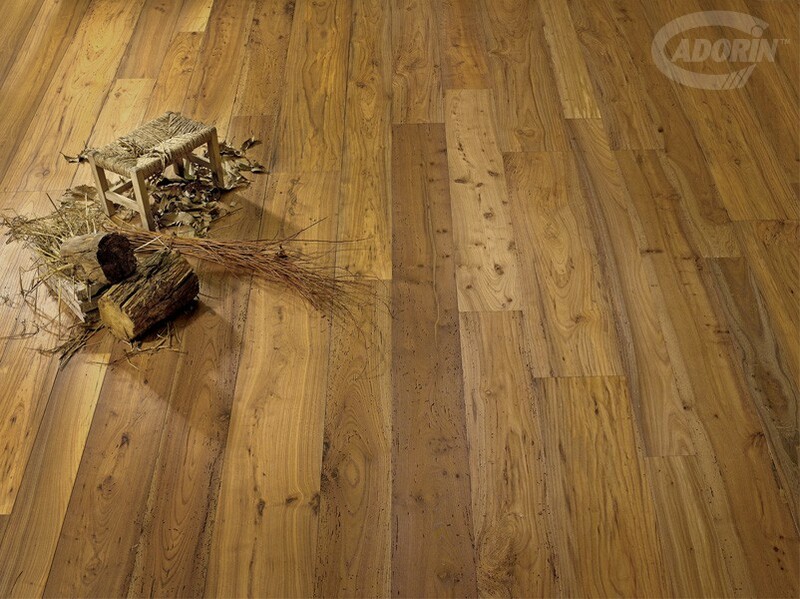 the European Elm - comes from old abandoned homes. 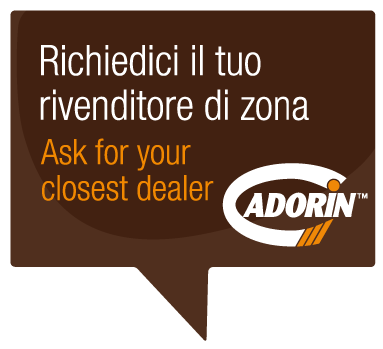 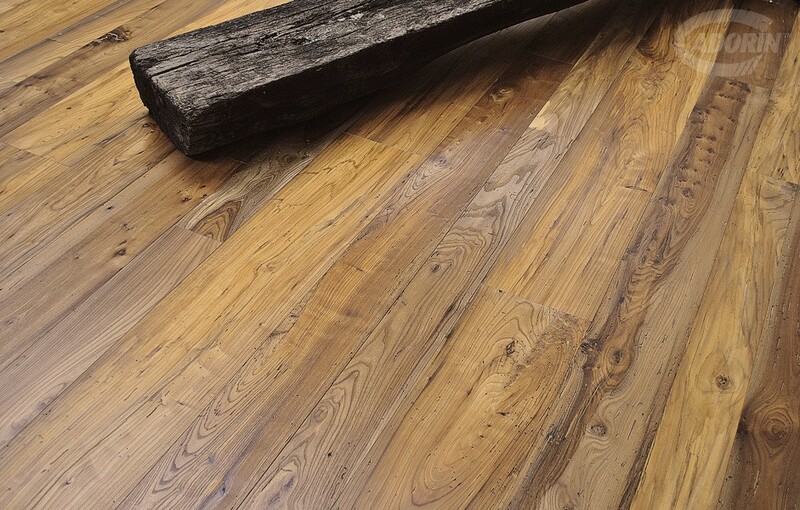 This is a hard wood, where the ravages of time have left evident traces: actual visible nuances and different shades due to the environmental conditions suffered, but also traces of woodworm and holes caused by iron nails or punches. 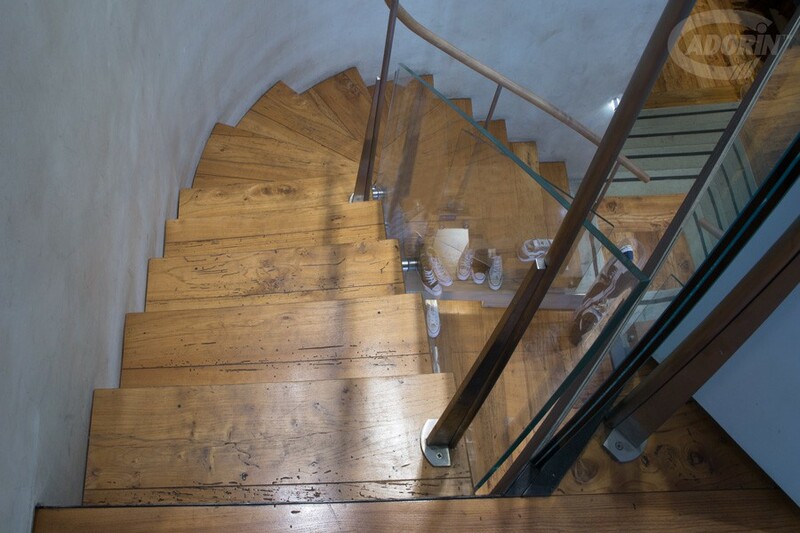 Each piece is produced and carefully restored by means of manual restoration, with the use of wooden dowels to seal the cracks or cover excessive holes, or with wood-filler mixture. 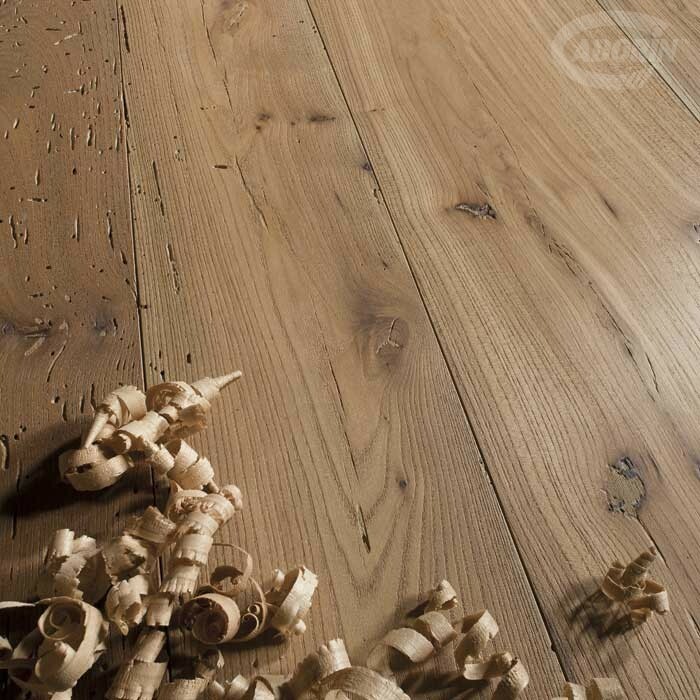 True craftsmanship, where patience, experience and passion are the key ingredients. 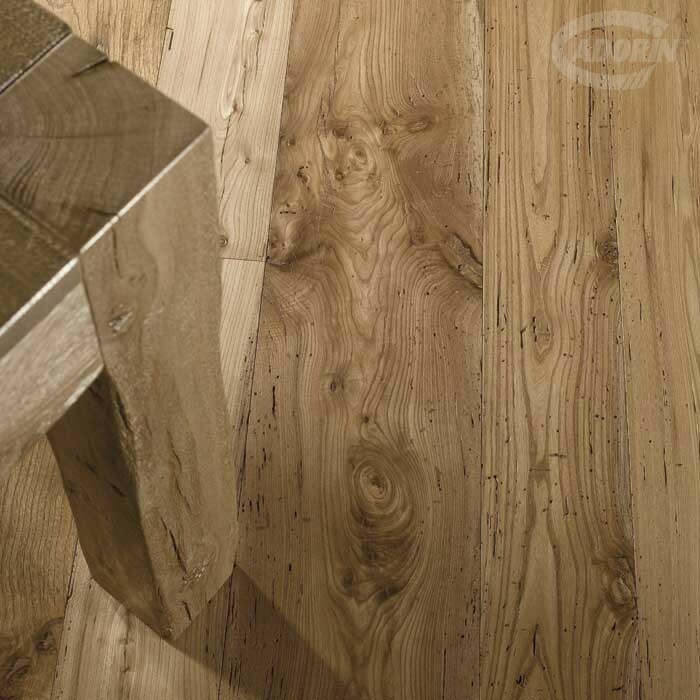 Each restoration tries to bring out the unique nuances of the wood, the antique patina, traces of holes, woodworm and other signs suffered by the wood over time, confirming the authenticity of its long history. 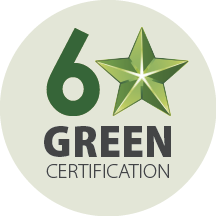 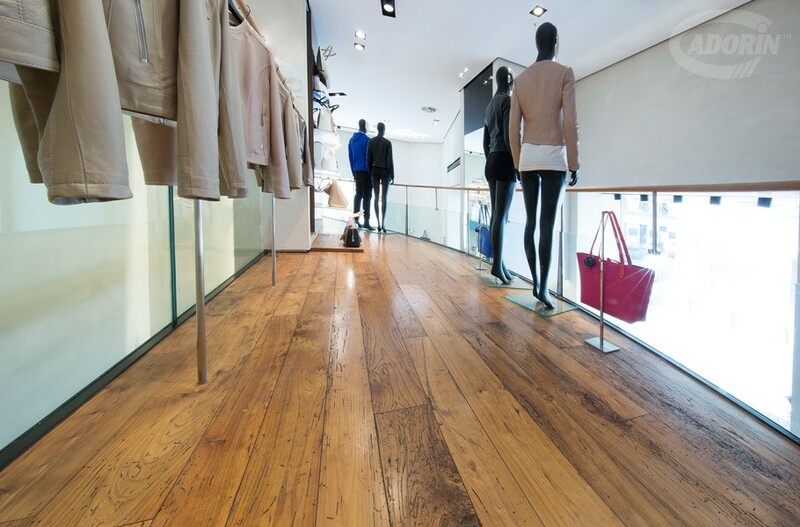 The manufacture and surface finishing complete the work: the planks are oiled and waxed with strictly natural products of a high quality standard. 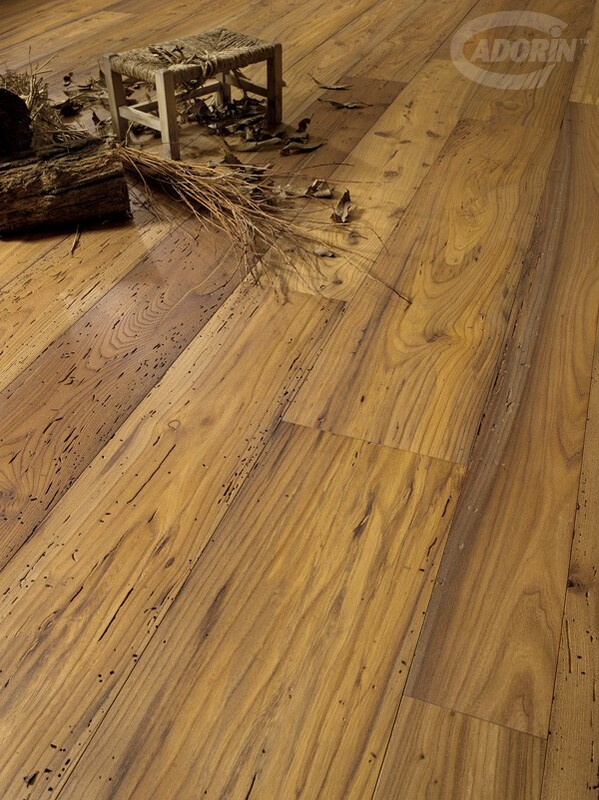 This protects the floor and makes it durable and easy to maintain. 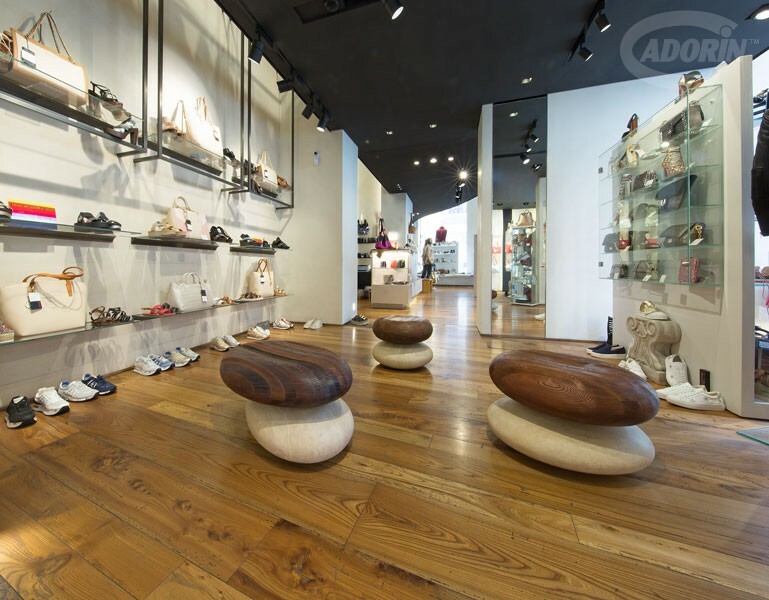 There is a strong demand for Antique Elm and other styles from the Antique Planks collection, especially from the most exclusive boutiques. 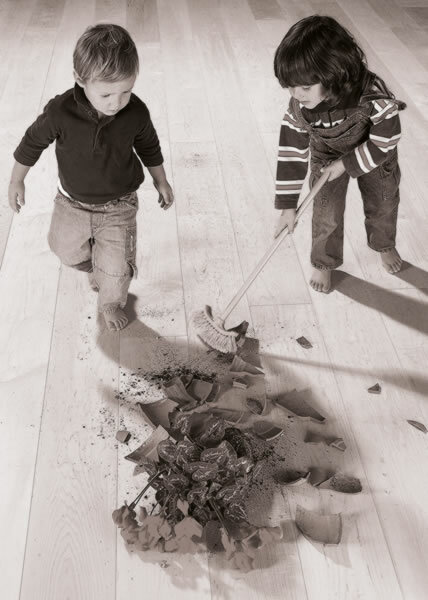 There are two main reasons for this. 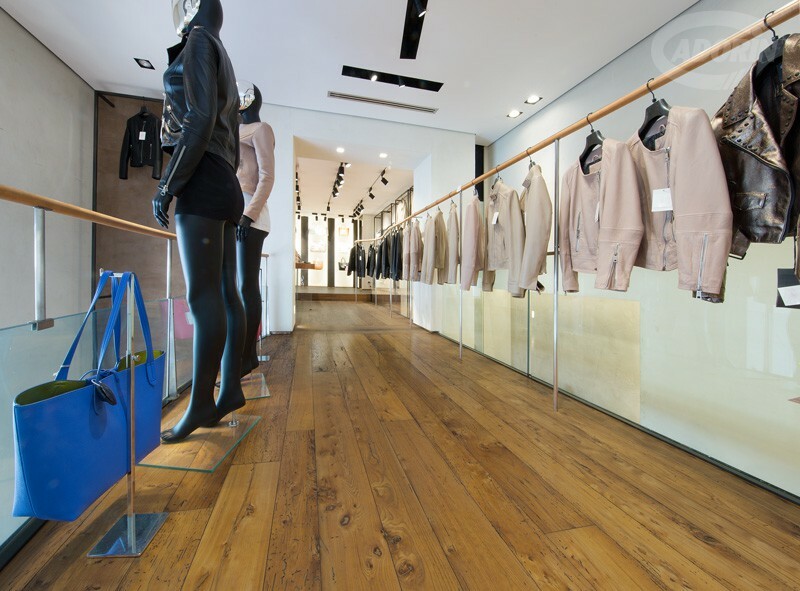 Firstly, they are practical, hard-wearing floors (thanks to the protective finish applied to the planks, composed of high-quality oils and waxes) that are easy to maintain. 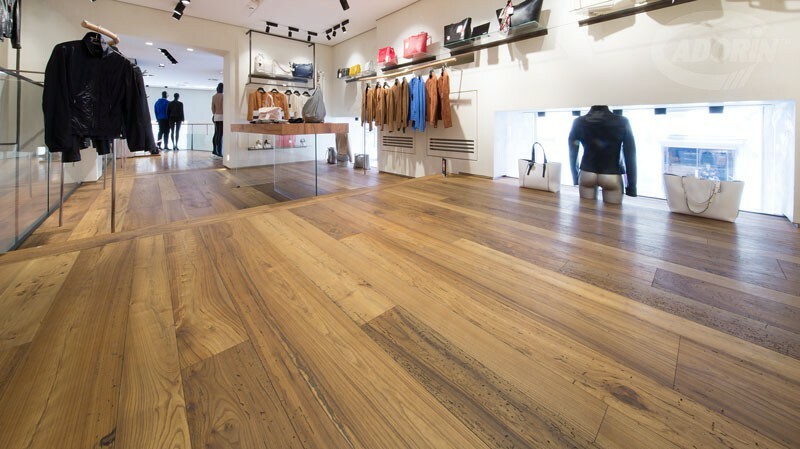 Secondly, they stand out for the unrivalled beauty of their appearance, making them perfect for a classic or modern style of design. 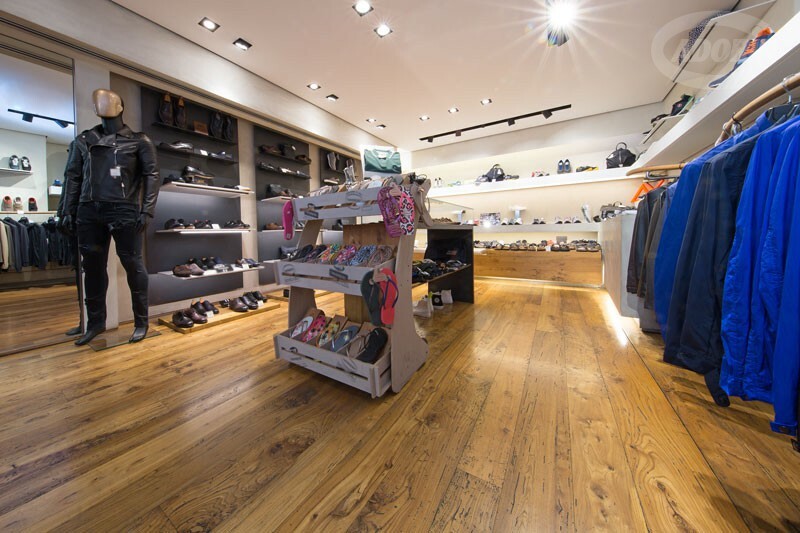 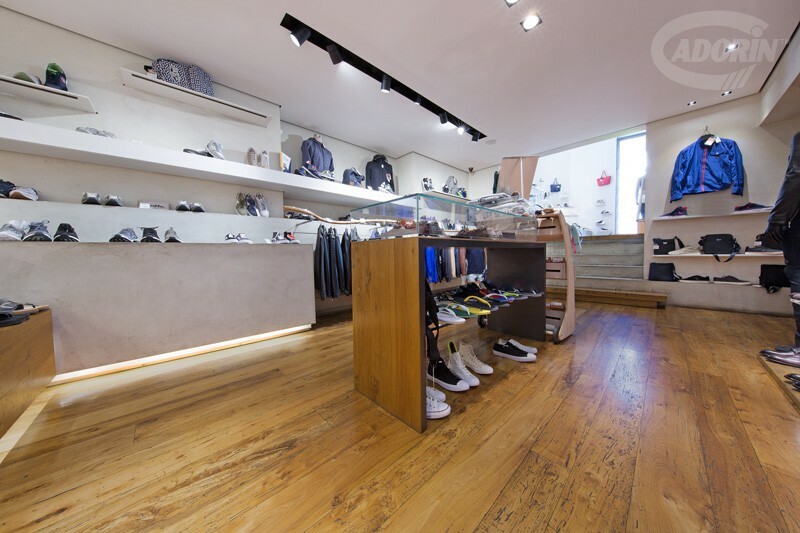 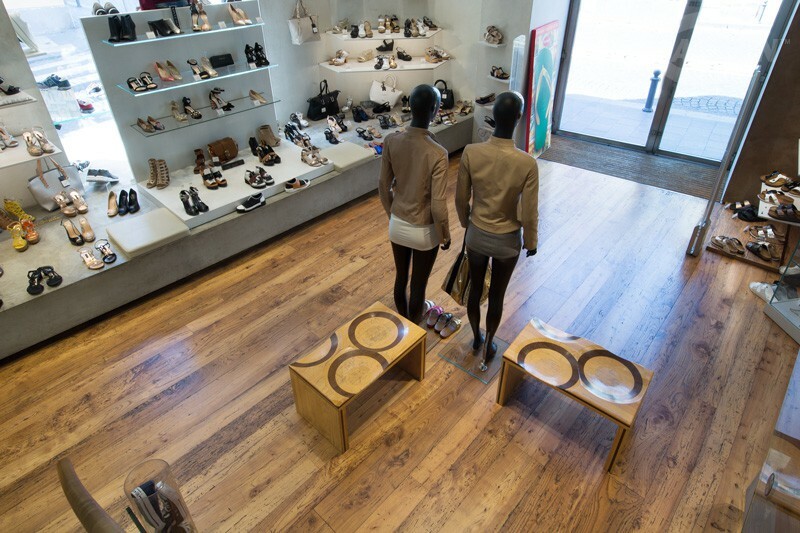 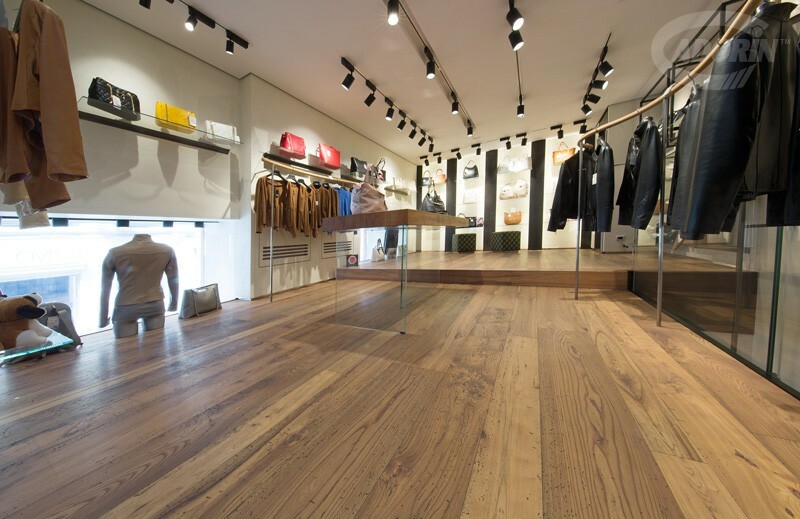 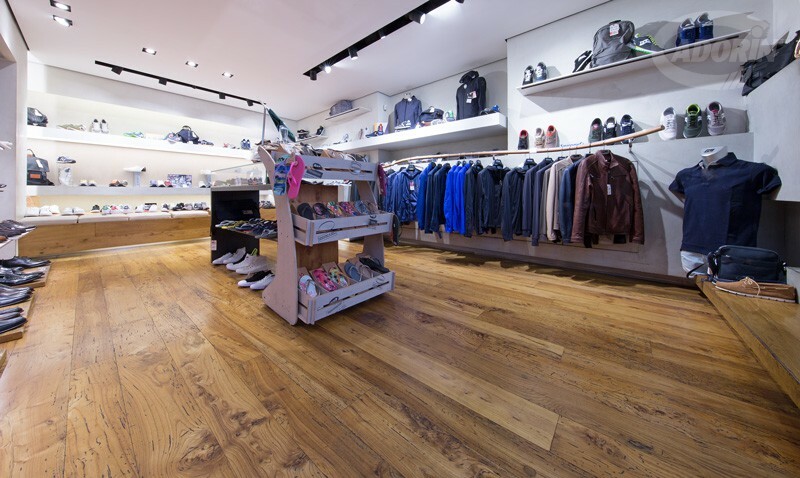 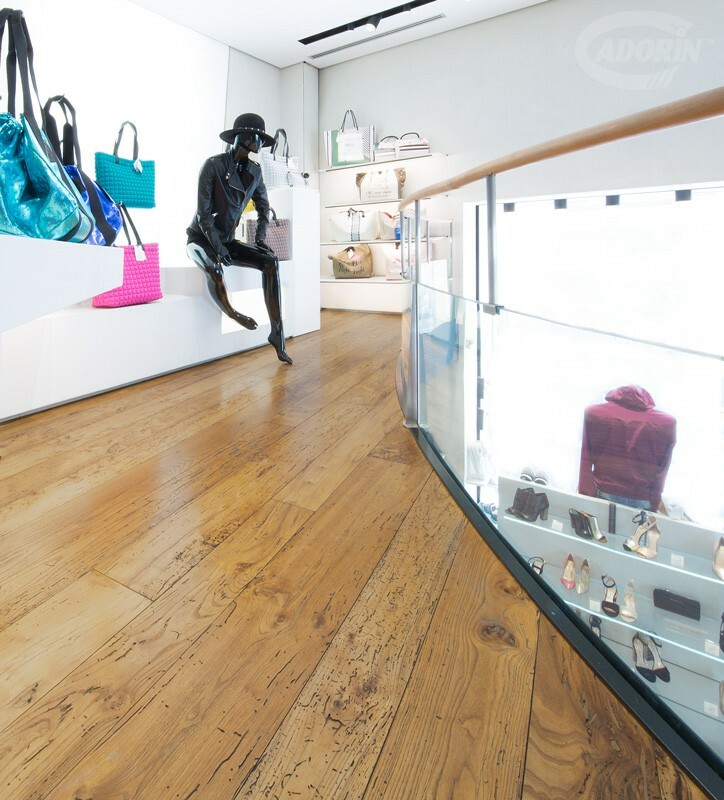 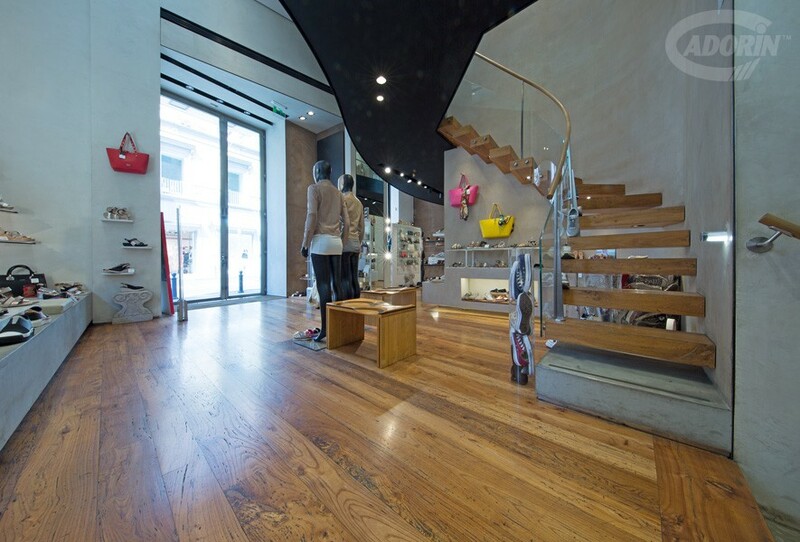 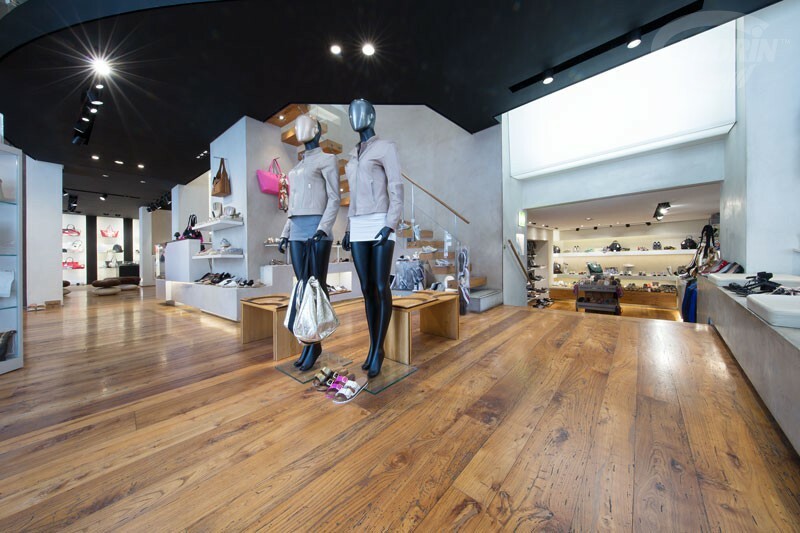 The use of wood flooring such as Antique Oak or Elm, which convey a sense of the past and feature marks highlighting their long history, in decidedly modern, designer-style concepts, was expressly desired by architects responsible for the furnishing of high-end clothing stores.